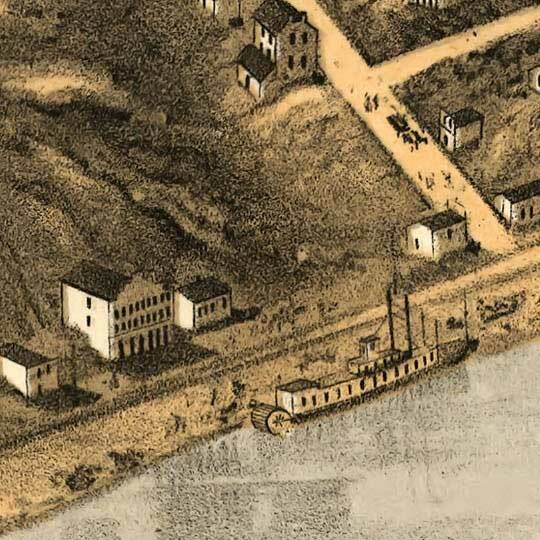 A. Ruger's Birdseye map of Kansas City, Missouri in 1869. This birdseye map of Kansas City, Missouri [gmap] isn't bad at all, but it's a touch off from the usual quality of other Ruger prints. Fear, not, Kansas Cityans, there are other Kansas City birdseyes available, so don't say a guy from St. Louis never did anything for you. 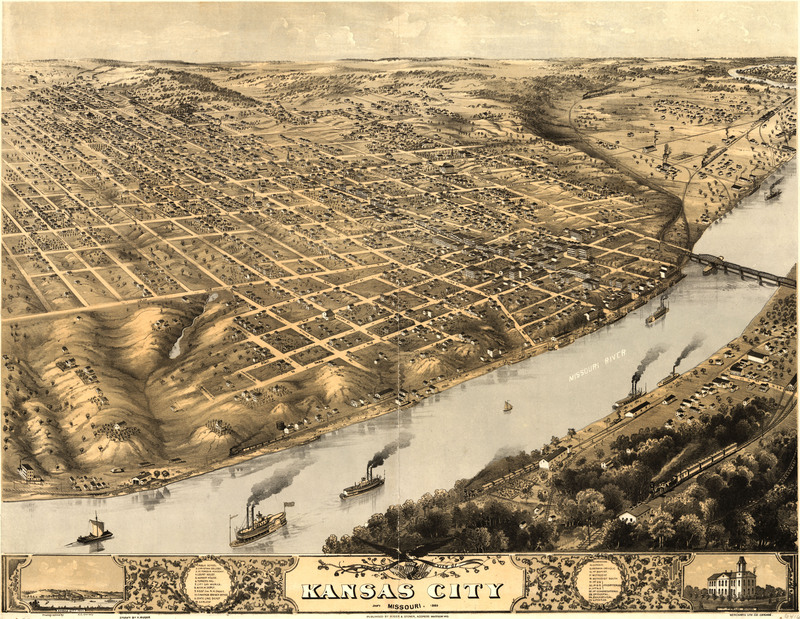 another great source for kansas city area maps is missouri valley special collections at the kansas city central library. thanks for posting this one!